I live in Arizona. It means that I have great winters, beautiful sunsets, the best citrus, tasty Mexican food and lots of beautiful landscapes. What I don't have, is a museum anything like the Met. I love the variety and vast range of the collection, from ancient Babylon to Eric Clapton's guitar, there is something for everyone. For me, the painting and sculptures call to me from across North America. I usually have to drive to L.A. or San Francisco to catch a good show, or even Springville, Utah (I will post more in the future on this somewhat unknown little treasure). For all that Arizona has to offer, it sometimes feels like a cultural desert, at least for my tastes. I took many pictures during my visit (another reason I love the Met, they allow photography! ), and I will use them in upcoming posts, but for now, I will show just a few. Some of the images are really large, so if you want to see the detail, download them or load them full screen. 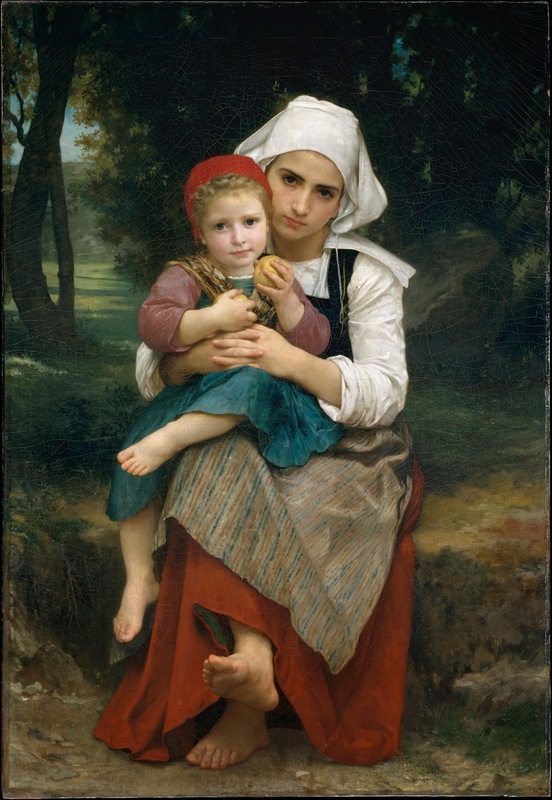 I have loved this painting for a long time. It has an immediacy and emotion that I find compelling. Look at the thin paint letting the warmth of the canvas show through in places. I love the quick brushwork, delicate paint layers, and simple palette. Look at how the fabric on her head switches from opaque to transparent. 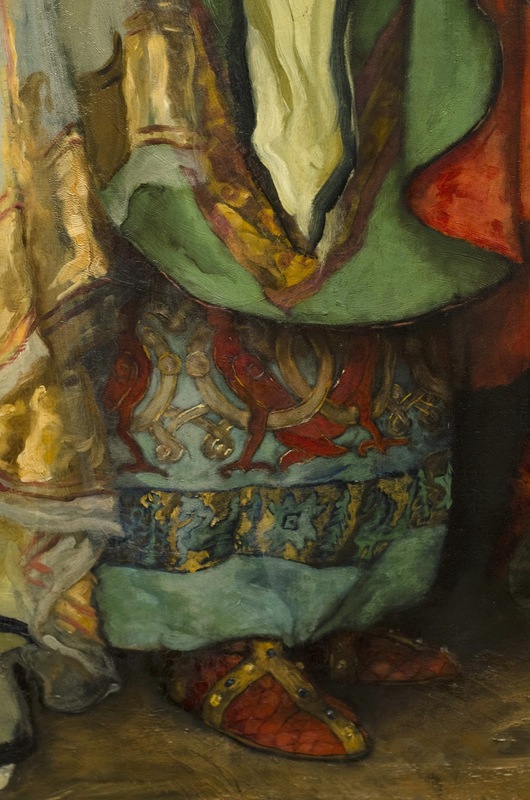 The small wisps of paint are so convincing in conveying the barely there transparent cloth. The drama of the light and dark shapes combined with her expression and posture create an intriguing and beautiful piece. 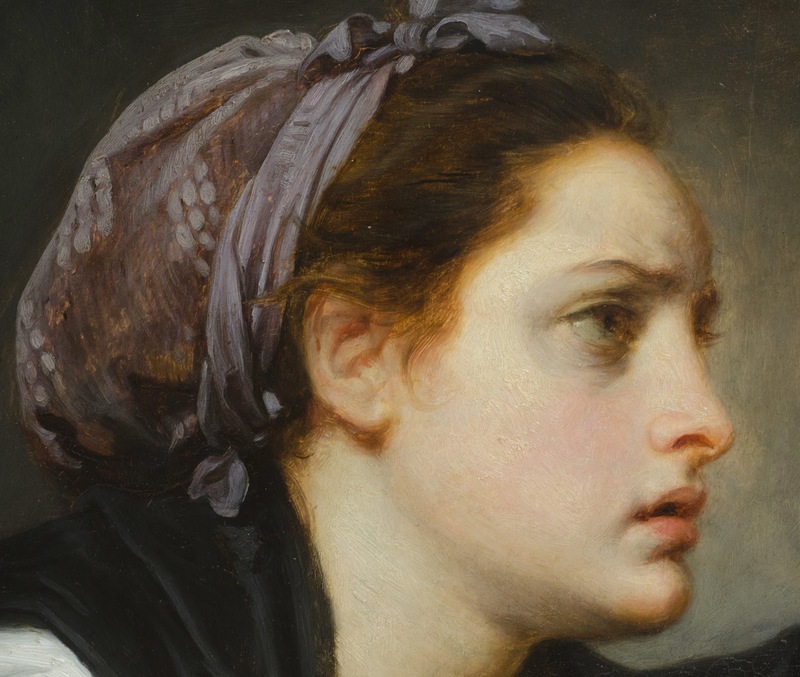 There isn't a Guido Reni that I don't love. 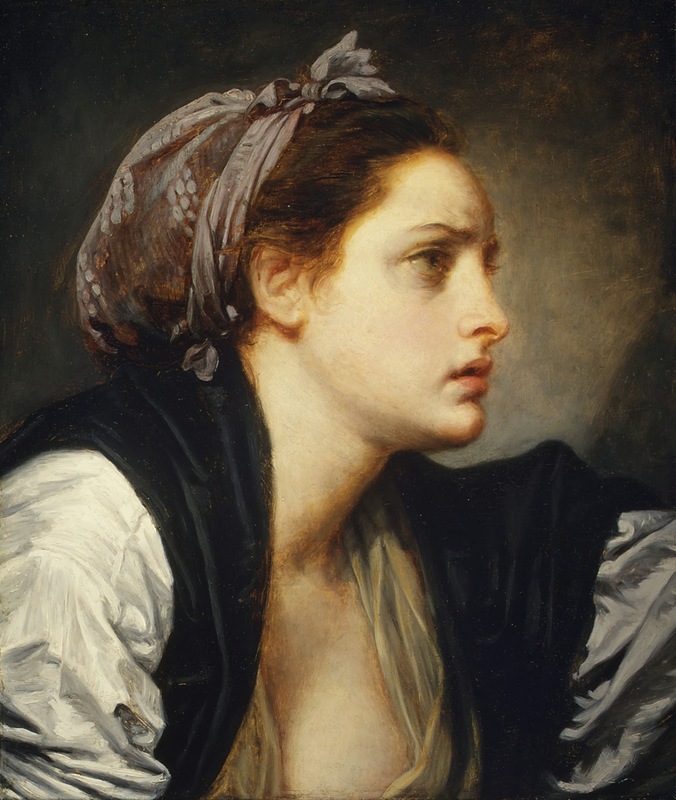 From powerful Centaurs and Saints, to this beautiful painting of Charity. Reni's work has a elegance that many of his contemporaries lack. 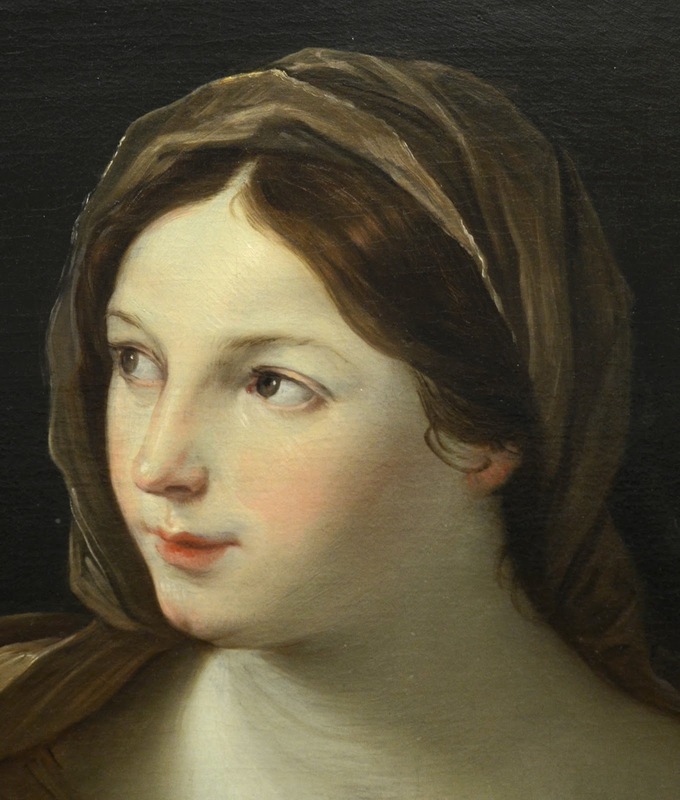 He drew with the flowing lines of Rubens, but the beauty of Raphael. I am also really inspired by the stylization of the flesh tones. Look through Reni's oeuvre and you will see flesh ranging from pale porcelain to ruddy and sun weathered. 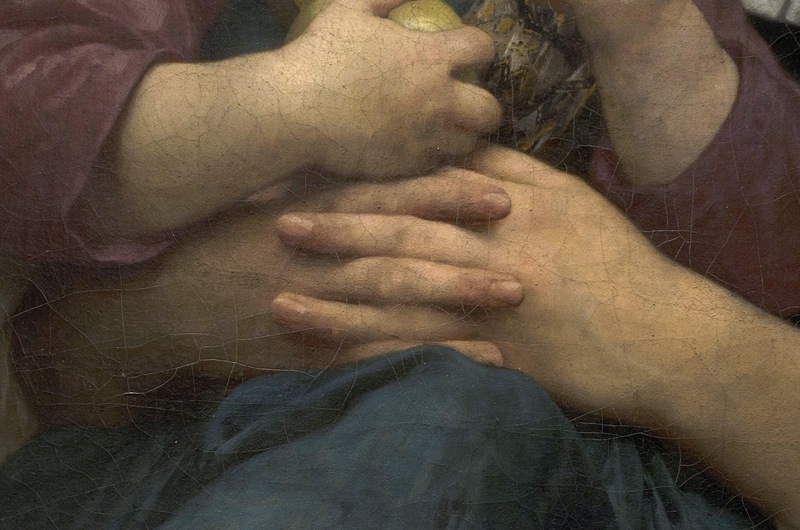 The highlights of this piece for me are the beautiful hand of the woman and her absolutely stunning face. So beautiful. You are probably familiar with the Charles Bargue drawing plates that have seen a resurgence of use in schools these days, but you might not have seen as many of his paintings. This pieces isn't particularly large, just 13" x 18" but it has the detail of a painting four times this size. 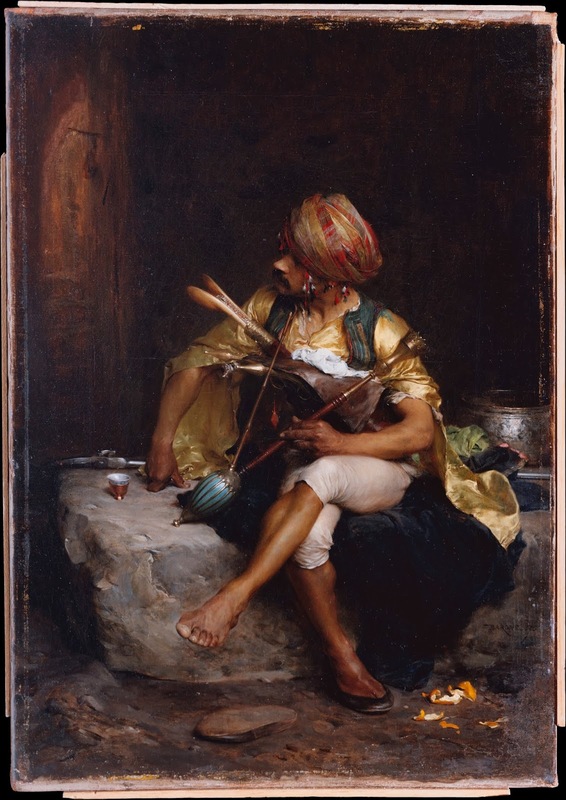 A contemporary of Jean-Leon Gerome, he painting some Orientalist images as well. I actually find his work more appealing than Gerome's. I think the surface is more interesting and the colors have a greater vitality. 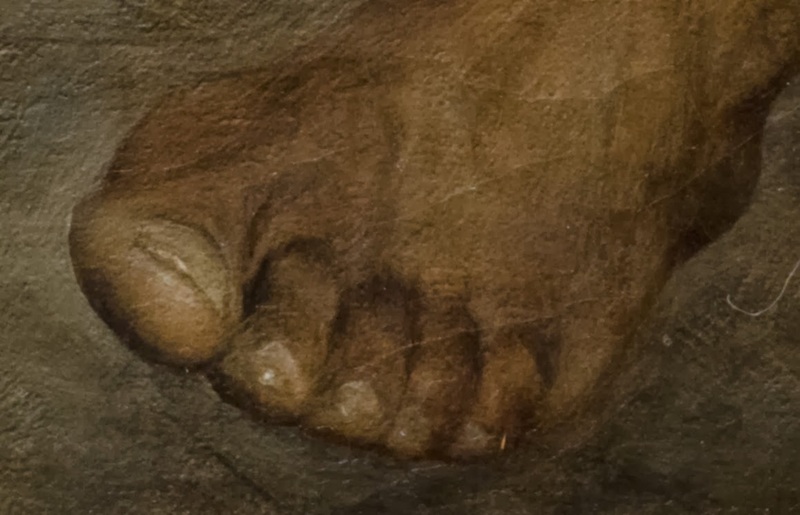 The foot in the foreground... are you kidding me. It is a gorgeous miniature exhibition of skill. 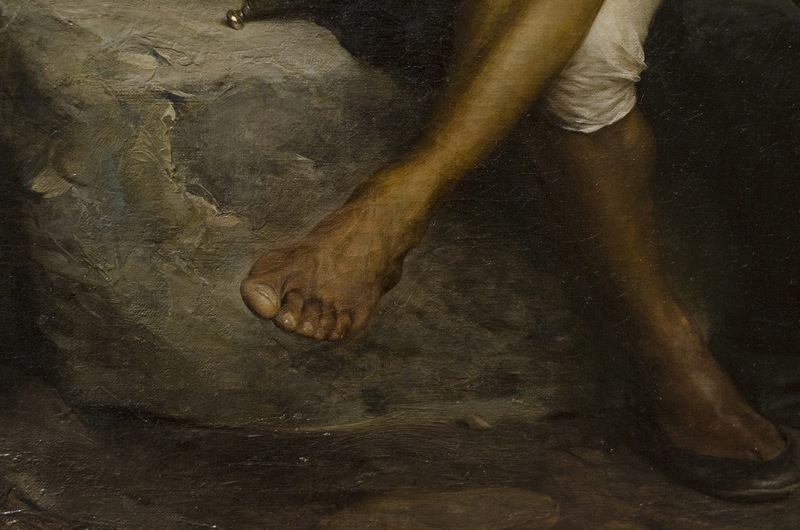 Speaking of feet, Bouguereau always brings it. 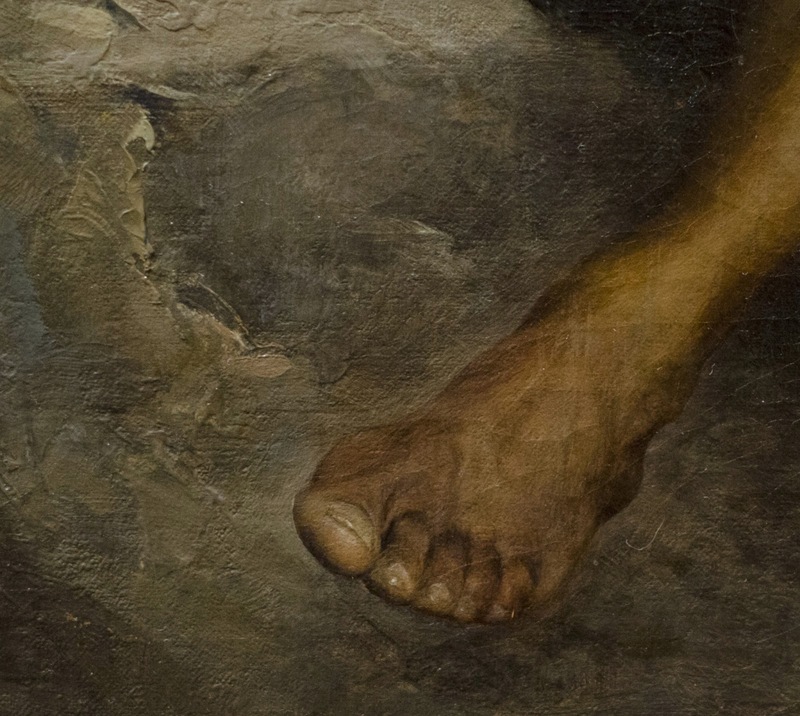 This painting isn't one of my favorite artistically, and it is suffering from some real cracking on the surface, but it is still painting with such a high degree of skill that it has much to give. On loan from the Clark Institute until April of this year, this painting is what lured me from Arizona to New York in January. I knew I had to get out there to see it while it was still on loan. Much has been written about this painting and I don't know that I can add much really. 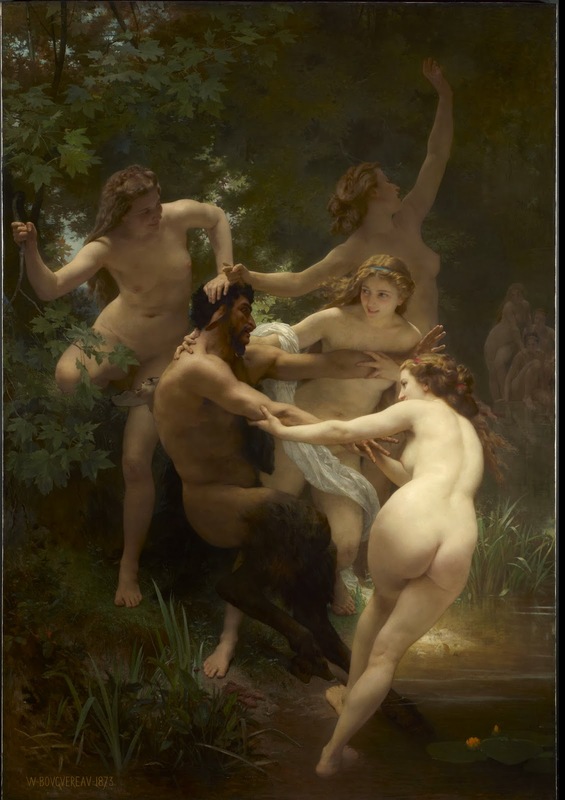 I will say that the woman on the right, looking at Satyr, is one of the finest renderings I have ever seen. 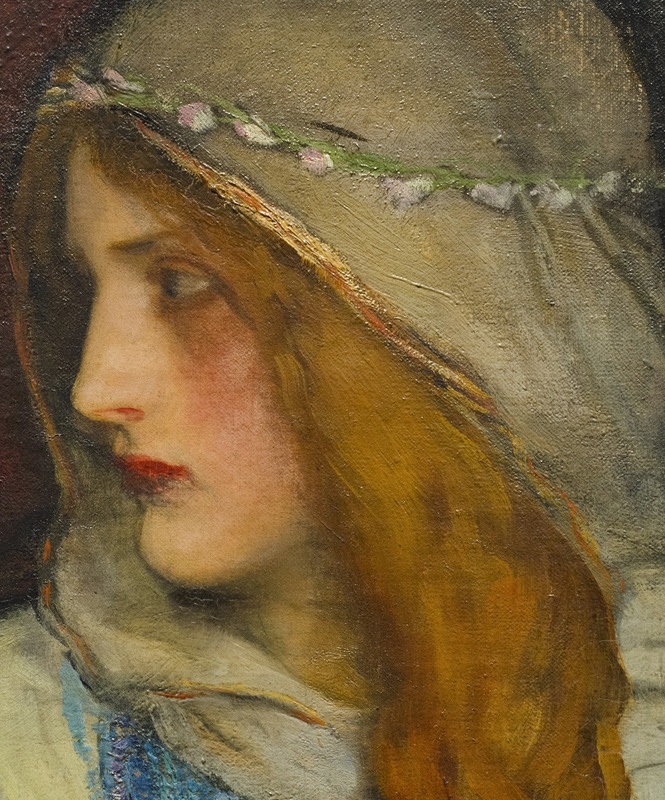 Her face is only lit by reflected light, but it has remarkable fullness and solidity. 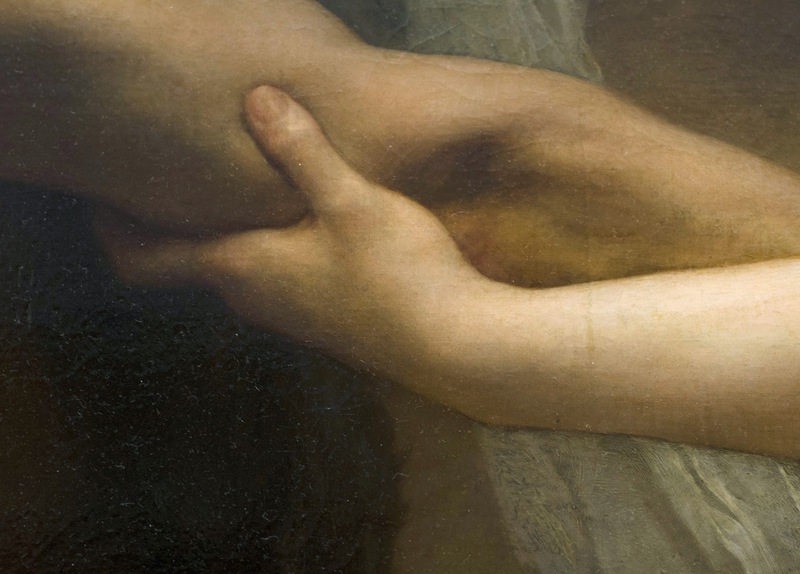 The hand of the foreground nymph pressing into the arm of Satyr and the flesh underneath it is so convincing. 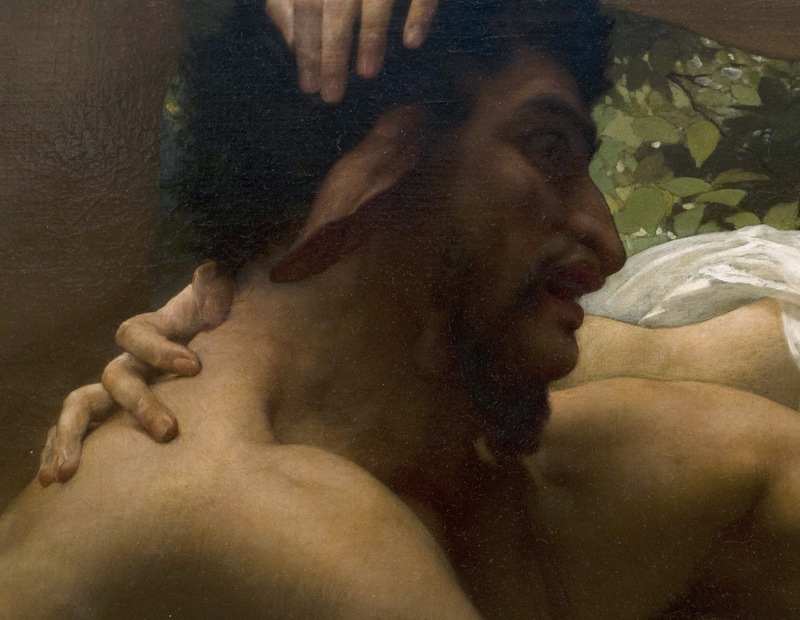 The hand on the back of Satyr's neck looks like sculpture it is so solid. The movement and interaction of the figures is so well done that it feels effortless. I went for the Bouguereau, but I left with the Abbey. 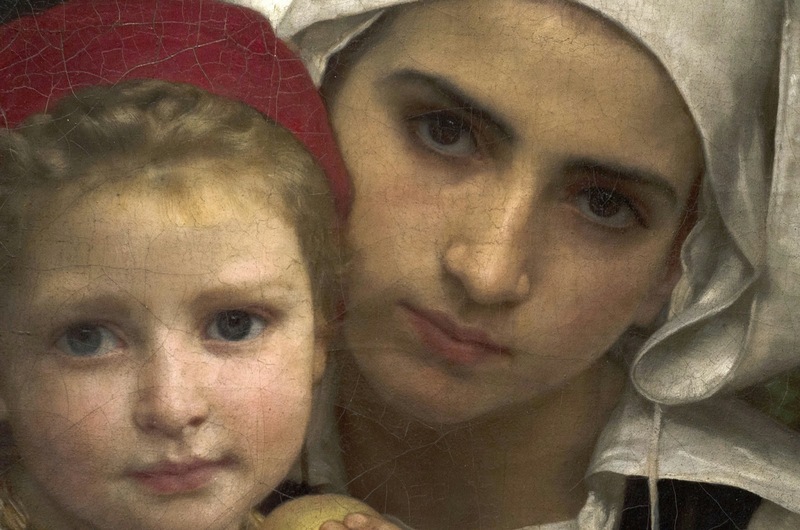 As much as I admire Bouguereau's skill, I am more moved by Abbey's artistry. He is right there at the top with Waterhouse for me. 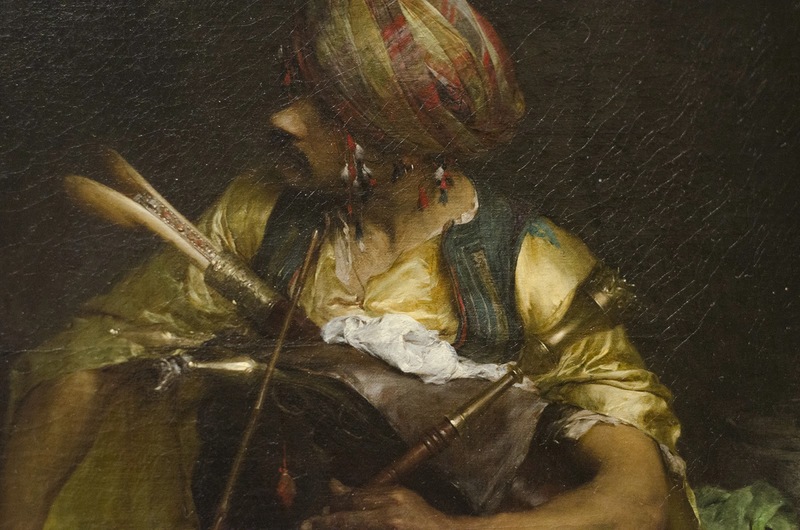 The surface of this painting is so interesting, packed with a variety of texture, brush and knife work. Portions become abstract when up close, but other areas are wonderfully detailed. The transitions from flesh to fabric, metal and wood... you have to see it in person. When I was attending BYU, Yale sent much of their Abbey collection to the BYU Museum of Art and I fell in love with his work then. Seeing his work again, with a few more years of experience left me no less amazed. I love the two villainous sisters, Gonoril and Regan, on the left hand of the painting. 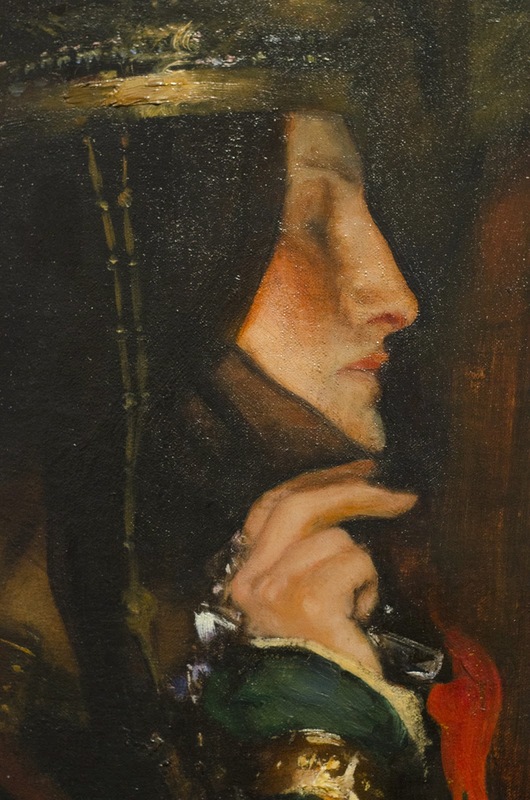 Gonoril, in black, described by Shakespeare as a viper, points two of her fingers towards Cordelia like snake fangs. The condescending look from the Regan in red as she gives a stiff curtsey is infuriating... and perfect. 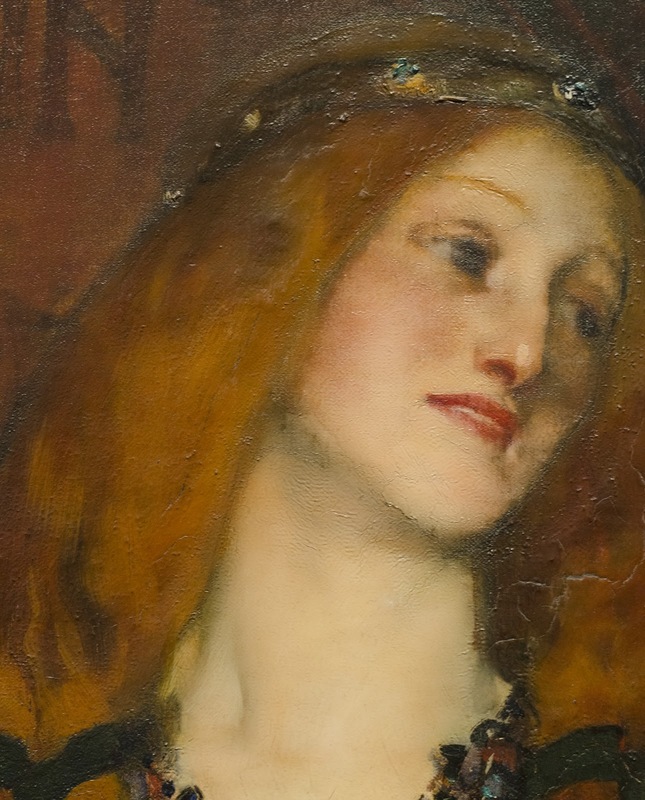 I love the flush of anger in the cheek of Cordelia and the beautiful of the robes of Goneril's husband, the Duke of Albany. 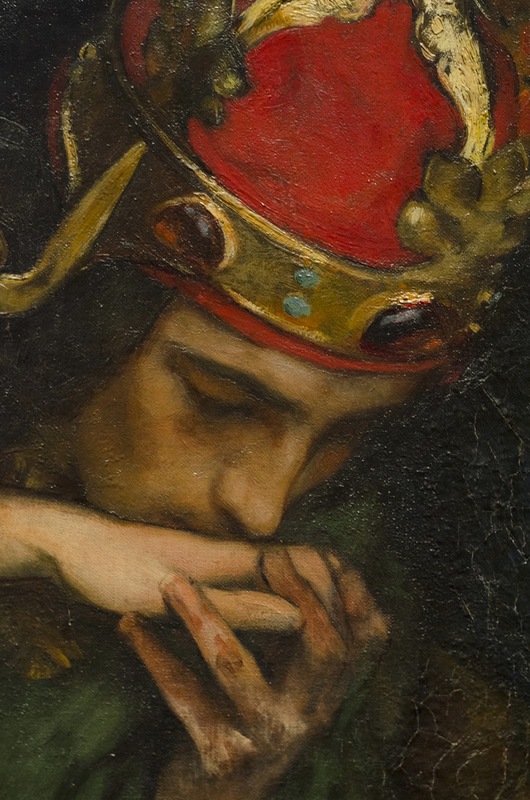 He bends over, kissing Cordelia's hand, his face as mask of respect and innocence hiding his role. 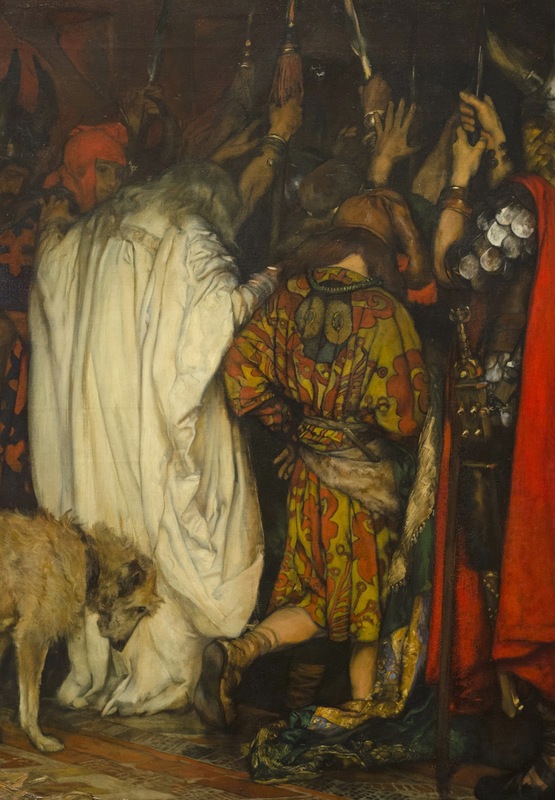 On the right we see poor old Lear being led away by his Fool and steward. Even the dog hangs his head low in despair. Abbey was a master storyteller. Whenever I hear anyone cast aspersions towards illustrators/illustration, I can't help but think of Abbey. Please. Paint like this and then let's talk. Of course the photos are just a shadow of the real thing. To really be consumed, you need to see them in person. If you haven't been to the Met, go. If you have, I hope this reminds you of the greatness there, and if you live in Manhattan and get to go often... well, I am terribly jealous. Two weeks from now I will have a book review of David McCullough's The Greater Journey. I was able to photograph several of the works discussed in the book while in NY. If you want to read along over the next two weeks, please do and then join in the discussion!